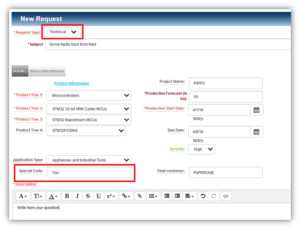 Thanks to Txxxx you has the possibility to submit a request directly to the cenral support of STM that is located in Prague. If you don’t have an account on my.st.com, please register here. After registration you will receive an e-mail with a link to confirm your credentials. Please follow the link to start using the Online Support (OLS). Once you are inside click on: Show Full Interface (it is at the top right), see below. Below is an example of filling out the form. 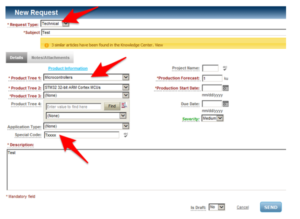 History of your requests using direct link. or from ST webpages www.st.com (you have to be logged in). Only STM decides to whom to give the Txxx codes. 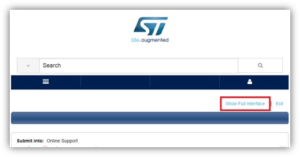 Of course, the main criteria is the quantity of the STM components that use the customer.